ABC Plumbing is your full-service plumber in Vacaville, CA, serving the needs of homeowners, as well as commercial and industrial customers. From general plumbing, to water heater service, to water well services and more, count on us for expert service and a job well done. We’re also available for emergency services! Expect only quality work from friendly professionals when you call us. We pride ourselves on extensive knowledge and experience, and we strive to apply these traits to every single job we work on. In addition to general plumbing, we’re also your experts for water heater service and other peripheral services involving water wells and gas lines. We welcome residential, commercial and industrial plumbing work and have the capacity to take on jobs of all sizes. Call on us when you need help with fixture installation or plumbing remodeling services and we’ll be glad to help. Our team is on call for emergency plumbing services and we work quickly to minimize damages and costs for every customer. When you call for a plumber in Vacaville, CA, you want to be sure you’re getting quality service from someone who knows what they’re doing. At ABC Plumbing, we make sure you have full and complete confidence in our team, and we exhibit our expertise on each and every job we work on. From simple leak detection and drain cleaning, to fixture installation and water heater repairs, you’ll be able to see in our work the dedication we pride ourselves on. We treat your home or business as if it were our own, which means doing the work right, the first time. We want to be the plumber you don’t hesitate to call, no matter the situation! 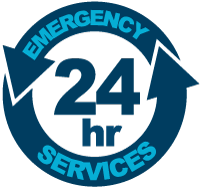 Not only do we do great work during normal business hours, we’re also on call as an emergency plumber in Vacaville, CA. Call us after hours to get quick service for your plumbing issue or get our team on site when your well stops supplying water to your home. We come equipped to get right to work—this means diagnosing the problem quickly and accurately, stocking quality parts, using the right tools and relying on our many years of cumulative experience. We have a passion for plumbing and will always make sure you’re getting best-in-class service from us. Contact us the next time you’ve got a plumbing issue and see our dedication at work for yourself. Don’t leave your plumbing in the hands of just any plumber. When you need plumbing that’s fast and reliable, call ABC Plumbing! Contact us today to get an estimate on service.